With two sets of royal nuptials taking place last year and the aftermath being a world filled with weary brides overwhelmed by pressure, choice and budget, a Lincolnshire based wedding planning company, Bride Beautiful Ltd., has stepped in and decided to go back to basics – beautiful, bespoke packages at a stunning venue. The difference? The region’s brides have had some input. “I’ve been running Bride Beautiful Ltd. @ Elsham Hall since 2011 and brides have become increasingly stressed over the years, and with Kate and Will’s wedding last year, there’s now more pressure than ever to deliver the perfect day,” explains Elaine Jaques, the company’s Director. 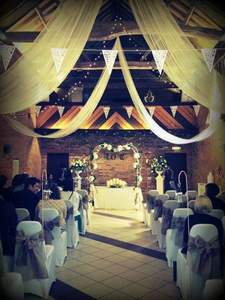 *No hidden charges regarding the venue hire – a purpose built, free-standing barn with 30ft high beamed ceilings on a 4-acre site, beautiful re-landscaped gardens and a courtyard entrance. *Flexible planning input – a team who can help with as much or as little of the planning as the bride desires. *A wider range of styles ranging from traditional and formal weddings, to more casual events (hog roasts, afternoon tea etc.). *The ceasing of in house catering being supplied automatically. Instead a list of recommended caterers is available. 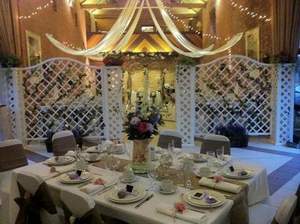 *Everything needed for the ceremony and reception, alternatively, the bride can source her own supplier (Bride Beautiful Ltd. can also supply a vetted contact list of local suppliers). *Throughout the week running up to the wedding, if requested, they’ll ensure everything is in place and the day will run to plan at no additional cost. *A schedule of the day for the bride and the wedding party, if requested, and at no additional charge. “At Bride Beautiful Ltd. @ Elsham Hall, we’ve always viewed weddings a bit differently to other venues, believing that each and every one should be tailored to specifically meet the bride’s expectations and to give her the day she wants, not the day last week’s bride had, or the bride next week is having,” Elaine goes on. 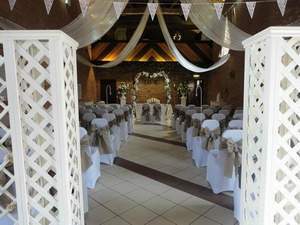 Packages in The Barn at Elsham Hall start from £1,950.